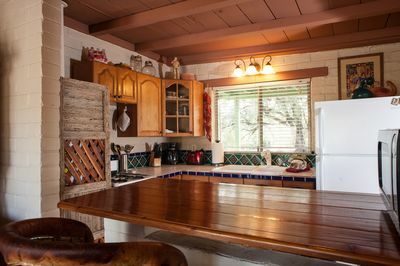 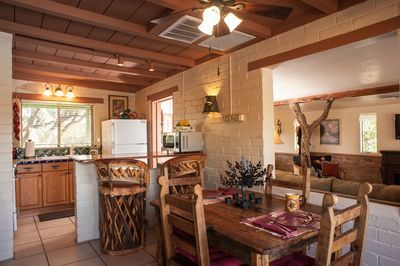 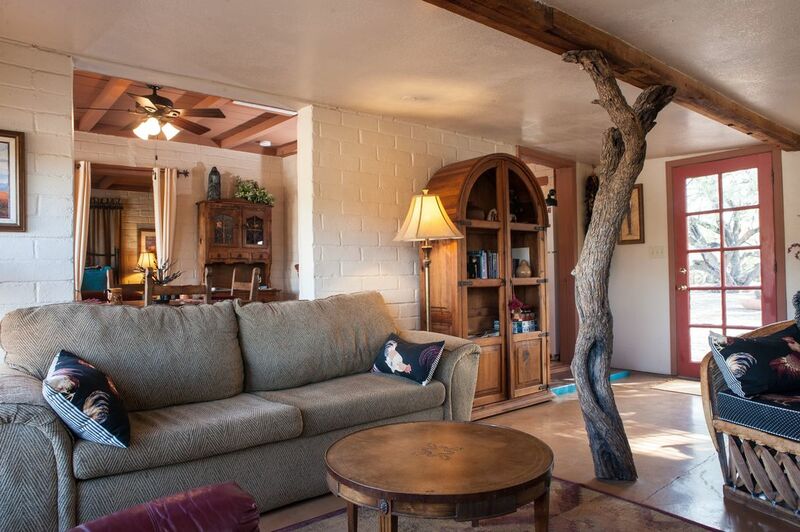 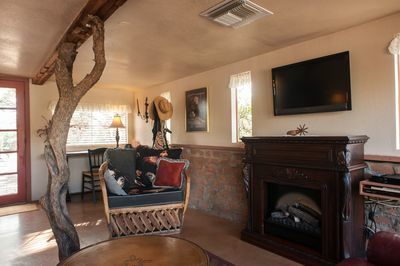 Harvest Wind is a unique and cozy Casita nicknamed "the tree house" for the decorative tree in the living room. 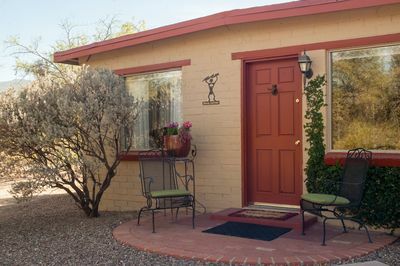 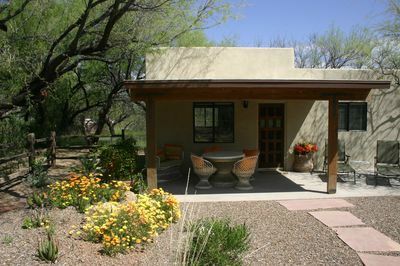 This Casita has one bedroom with a queen bed and a queen sofa bed in the living room for a guest or larger family. 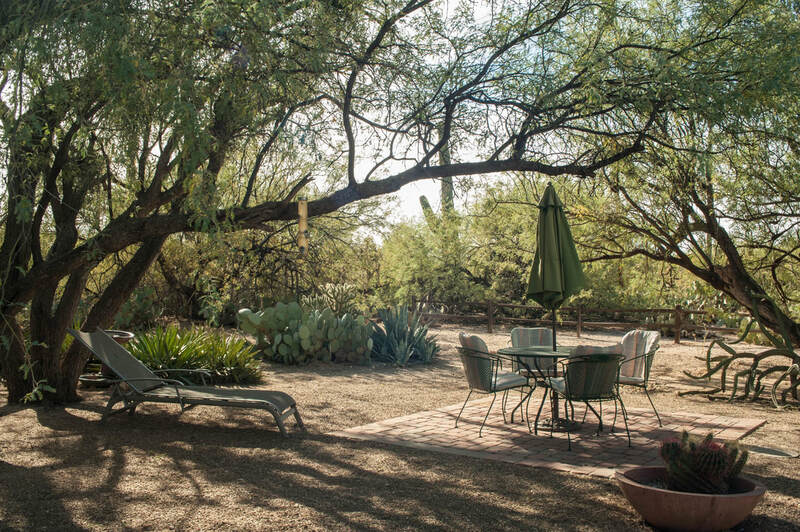 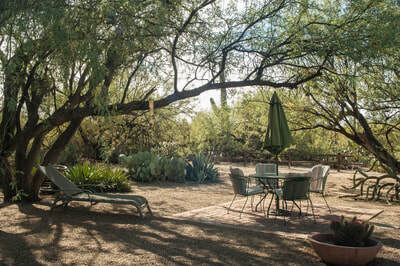 It features a lush desert landscape with an umbrella table to enjoy the busy wildlife or an evening sunset. 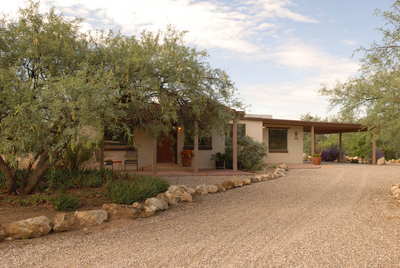 The views of the Catalina mountains from the front door are magnificent! 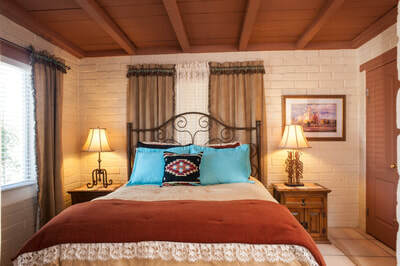 1 bedroom with a queen bed, as well as a queen sleep sofa in the living room.